Dry seeded rice (DSR) is becoming an attractive option for farmers as it has a much lower labor requirement than manually transplanted rice. 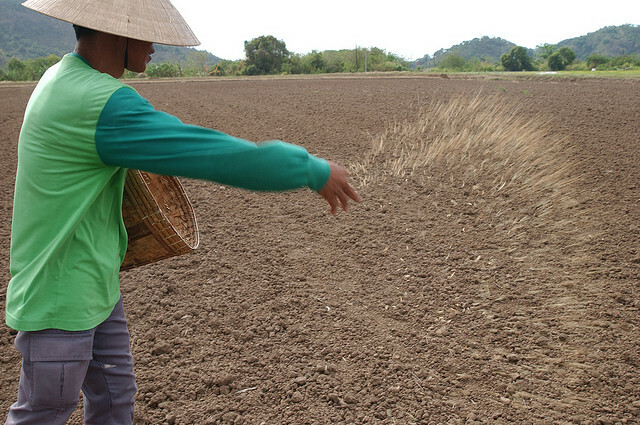 In this technology, rice is directly seeded in the main plot with 2- or 4-wheel tractor/power tiller drawn seed drills. DSR can be readily adopted by small farmers as well as large farmers, provided that the required machinery is locally available (e.g., through custom hire). DSR has lower water requirement for crop establishment as puddling is not required in this method. The soil in DSR remains aerobic for most of the time in the season which reduces methane emission.